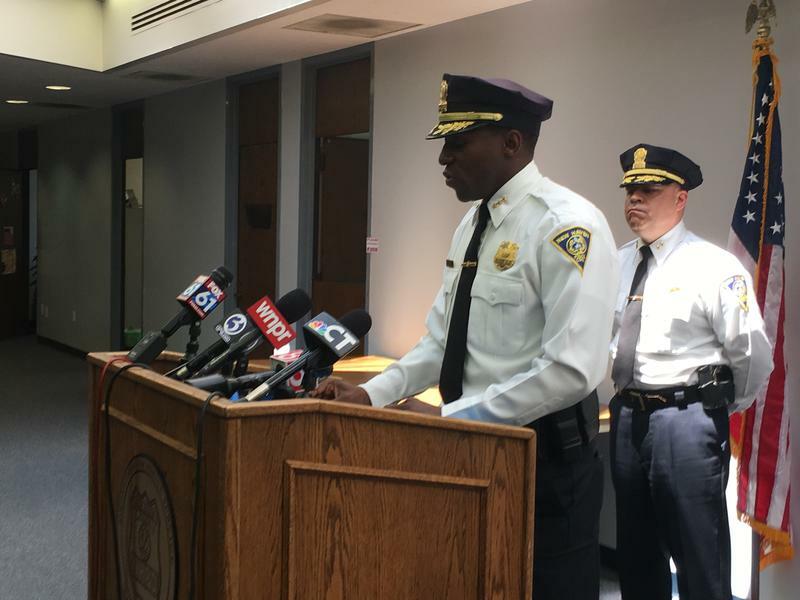 Hartford Police Chief David Rosado talks about the department's response to the Stephen Barone controversy during a press conference Thursday at police headquarters. 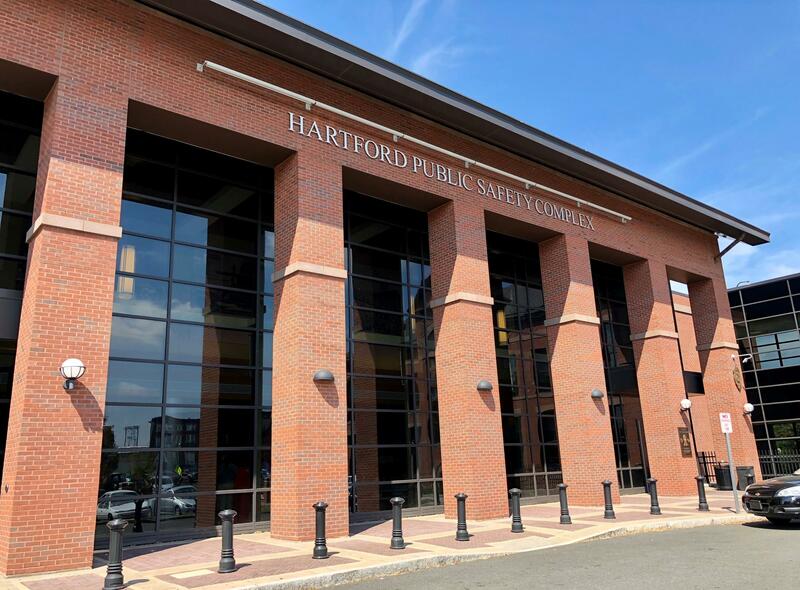 Along with his demotion from sergeant, Officer Stephen Barone faces internal affairs charges that he violated the Hartford Police Department’s Code of Conduct, in part for his controversial remarks that stirred outrage in the community this summer. 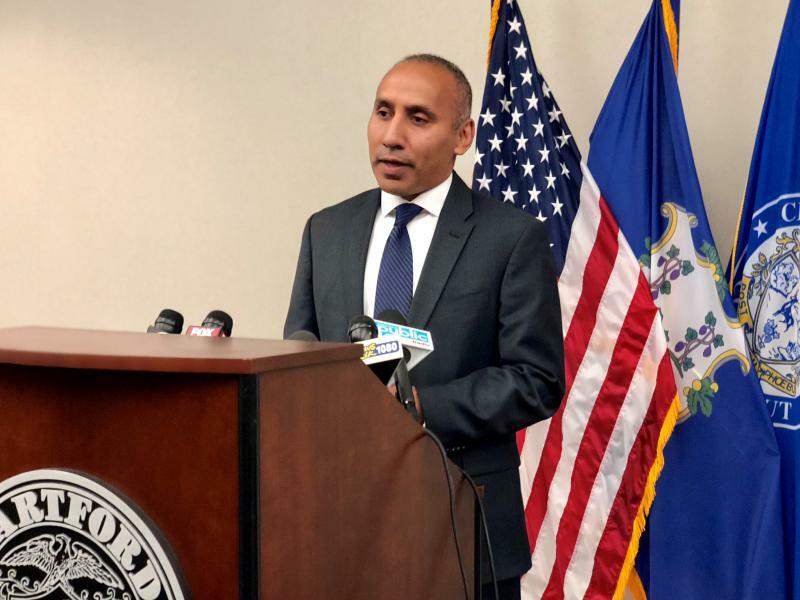 Chief David Rosado said the department has embarked on a disciplinary process that could include suspending Barone without pay — or firing him. Barone is appealing and will have a hearing that could happen as soon as next week, according to the city. In the meantime, Barone has been reassigned to desk duty. A city spokesperson said Barone’s base salary drops from $89,200 as a sergeant down to $76,841. The city on Thursday released two administrative reports on Barone, including one detailing a July traffic stop that led to a police chase in which the fleeing motorist ended up on I-91, driving the wrong way. Barone, then a sergeant and supervisor of the department’s Community Response Unit, was the ranking officer in that incident. The other internal affairs report focused on the night of August 9. “If anybody wants to fight or run, I’m a little trigger happy, guys,” Barone is heard telling a group of men suspected of trespassing on Heath Street. The video of this exchange ended up on Facebook. Hartford police headquarters on High Street. On Thursday, the city posted an extended video of the encounter that investigators obtained during their probe. City officials said community leaders, including local pastors, got an early look. In the newly released portions of the video, Barone tells the men on Heath Street that his “trigger happy” comments were a mind game so they would cooperate. The city also confirmed it was Barone’s voice saying it would be a bad financial decision if he were to shoot someone on the job, because the ensuing investigation would hamper his overtime. 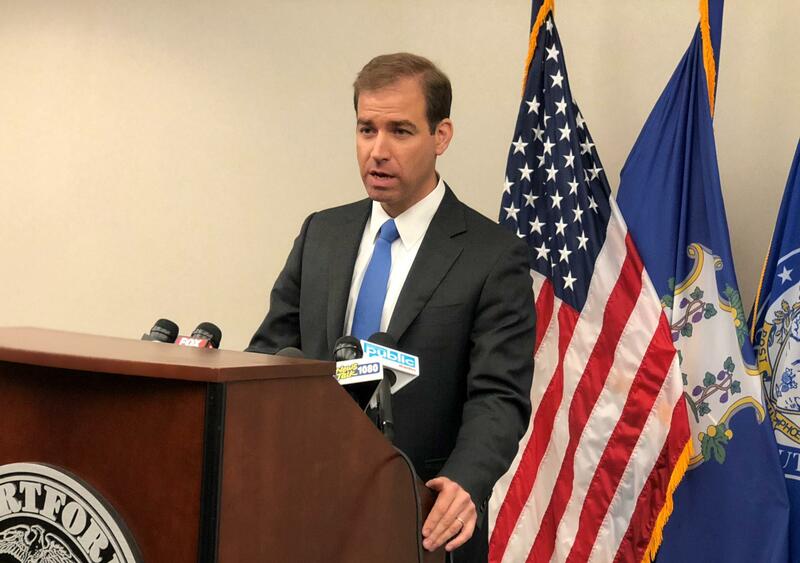 Hartford Mayor Luke Bronin addresses the media Thursday after the city released internal affairs reports on Stephen Barone. “Community members, no matter what community they’re in, they understand that things go awry at times,” Rosado said. Barone, who is white, told the men in the video that he hasn’t shot anyone in 10 and a half years on the force, and that if he makes it another 14 and a half years without firing his weapon, it’d be a good career. Barone also said he’s not likely to bump into his old high school friends from Glastonbury, a predominantly white suburb, while out patrolling in Hartford. Barone was joined by union representatives during his interview with investigators on August 17. The internal affairs report stated that Barone conceded he could have used “a better choice of words, but at the time he believed his words were effective in maintaining control.” The report found that Barone’s behavior constituted conduct unbecoming an officer, but that the interaction did not rise to the level of harassment or a civil rights violation. Bronin, the mayor, said the police department has to repair damage to the community’s trust after the “trigger happy” episode. “These words create a very, very real sense of fear,” Bronin said. 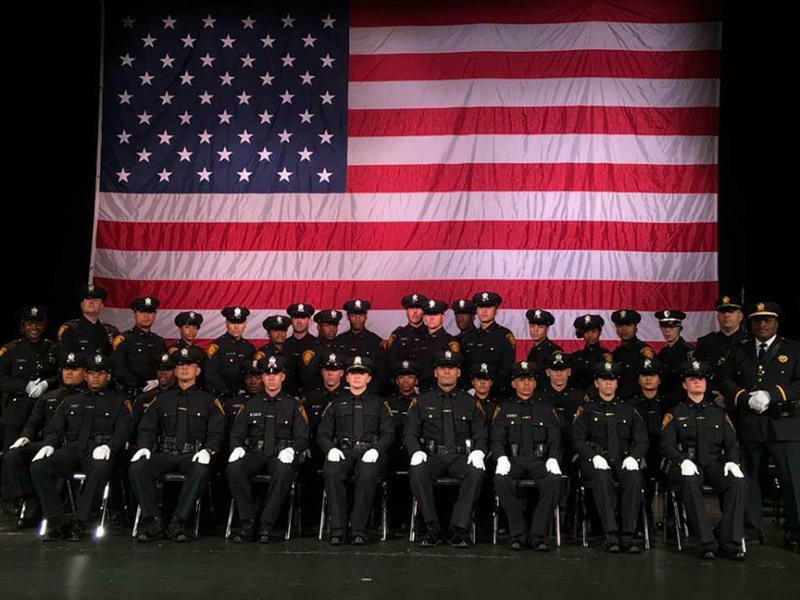 Police officials said more than 17 background reports were falsified by former officers Leah Russo and Kristian Ramirez. The two were partners in conducting background investigations for incoming police candidates.